You ball switch colors when another section is passed. Try to match colors and get stars for your journey. 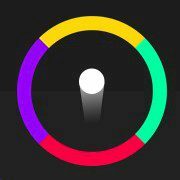 This color game will test your patience and accuracy. Pass through the figures of all changing colors and touch only those sections, that match your own color.